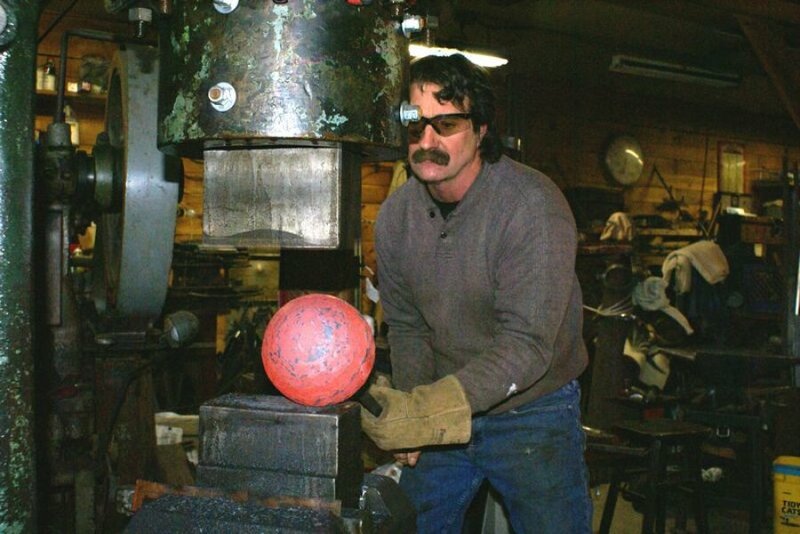 Mike Braddee developed his passion for metal design and fabrication after owning and operating Braddee Custom Builders for twenty five years. While he was used to doing structural steel and fabrication work, he expanded his home design to include custom metal work. Mike starting taking Blacksmithing courses in 2004 and has studied with Blacksmiths from around the world. He has learned techniques traditionally passed down generation to generation. Although Mike enjoys the traditional methods, he is at his best when he gets to “think out of the box” combining old tradition and new technology. Braddee Metal Works and Design began by forging a hinge for customer, for a 1700’s restoration piece of furniture. Mike enjoys physically producing what was once, just an idea! His ability to work directly with the client to design a one of a kind is his goal. He creates what will reflect the customer’s personality and enhance their surroundings, regardless of the project size. Mike simply enjoys a challenge! Mike’s studio is located in Hunterdon County, New Jersey. Mike is a member of, NJBA, MASA, PABA, PAABA and NEBA which are Blacksmith associations in NJ, MD, PA, and NY. He is also a member of the Artist Blacksmith Association of North America, ABANA.